Yesterday I updated my website The Best Watercolour Paint for Artists and included a new section about a new artists' watercolour paint which becomes available in the USA next month. 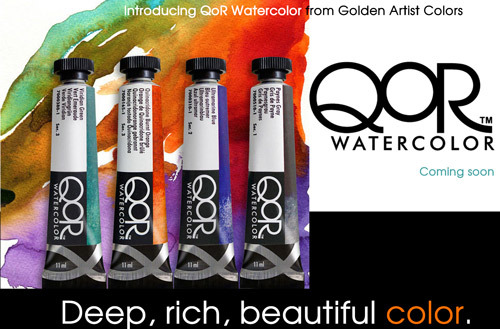 QoR WaterColor paint is produced by Golden who are well known for their acrylic paints. Initial indications are that Golden's experience in acrylics is maybe also obvious in the formulation of this new paint. 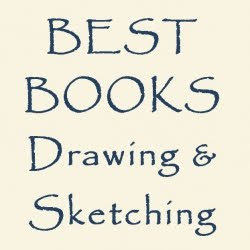 It'll be interesting to see what those painting traditional watercolours think of it. RECOMMENDATION: I suggest people try one of the six colour trial pack of colours in the first instance to see whether they like how this new paint behaves. Please report your experience of this new paint after you get your hands on it wherever is best for you. You can include a comment on this post if you like. I expect that the website will undoubtedly expand and there will more information about availability in terms of distribution to art stories and online retailers in different countries in the near future. My experience of such things is that roll-out might be somewhat slow with a focus on the USA only in the short-term. I'll update my website as and when new information becomes available. I won't be including sites which merely repeat a press release.